This edition is limited to 1000 copies on heavy-weight vinyl. Comes in a generic "Supersonic Live Recordings" LP jacket with insert and front cover sticker on protective PVC jacket. 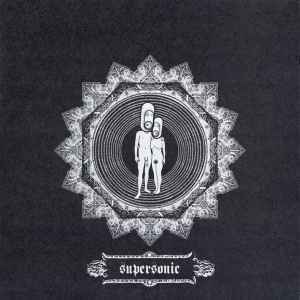 It features mostly acoustic versions of Oxbow songs recorded live during 2007's Supersonic Festival. The sticker lists "Recorded Live at: Super Sonic 07", but insert and record labels go for "Live At Supersonic, 2007"
All selections copyright and performance Diorite Music, BMI; CFY Music, BMI. Catalog number and cutting engineer taken from matrix.